The Historic Centre (Old Town) of Tallinn is an exceptionally complete and well-preserved medieval northern European trading city on the coast of the Baltic Sea. The city developed as a significant center of the Hanseatic League during the major period of activity of this great trading organization in the 13th-16th centuries. The combination of the upper town on the high limestone hill and the lower town at its foot with many church spires forms an expressive skyline that is visible from a great distance both from land and sea. The upper town (Toompea) with the castle and the cathedral has always been the administrative centre of the country, whereas the lower town preserves to a remarkable extent the medieval urban fabric of narrow winding streets, many of which retain their medieval names, and fine public and burgher buildings, including town wall, Town Hall, pharmacy, churches, monasteries, merchants’ and craftsmen’ guilds, and the domestic architecture of the merchants’ houses, which have survived to a remarkable degree. The distribution of building plots survives virtually intact from the 13th-14th centuries. The Outstanding Universal Value of the Historic Centre (Old Town) of Tallinn is demonstrated in its existence as an outstanding, exceptionally complete and well-preserved example of a medieval northern European trading city that retains the salient features of this unique form of economic and social community to a remarkable degree. I visited the Tallinn on a G Adventures tour of the Baltic States. Tallinn is the capital of Estonia and its most populous city. The city’s land area is nearly 160 square miles and more than 450,000 residents live within the city limits. 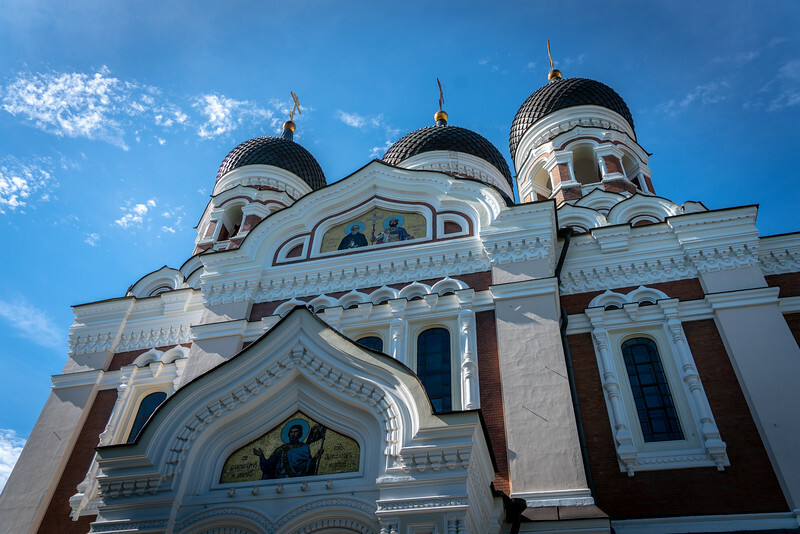 Lying on the country’s northern coast along the Gulf of Finland, Tallinn is one of the most well-preserved of Europe’s medieval cities. The first mention of the city was found in texts dating back to the early 13th century, but most historians believe the area was settled as many as 5,000 years earlier. For much of its history, the city and country were ruled by Danes, Germans, and Scandinavians. From the beginning, it was an important transportation hub due to its maritime location, which offered relatively easy access to Europe and Scandinavia’s other ports and population centers. The city is a UNESCO World Heritage Site. Due to its abundance of tech-related startups, it’s often referred to as Europe’s Silicon Valley. Tallinn is also considered a political, educational, and artistic hub of Europe. It is home to the European Union’s Information Technology Agency and the NATO Cyber Defense Center. In 1918, the country’s government proclaimed its independence in the now-famous Independence Manifesto, though it wasn’t until 1920 that Estonia was officially granted independence from Russia, who signed the Tartu Peace Treaty and ended the struggle between the two countries. Again, during World War II, however, the country was occupied first by the Nazis and then again by the Soviets. It wasn’t until the downfall of the Soviet Union in 1991 that Estonia would be granted independence that would last until the present time. Freedom Square is close to the city’s center and lies between St. John’s Church and Old Town, making it a convenient place to visit, whether you’re on foot or using the public transportation system. The square includes different monuments, all of which pay homage to the perseverance and resilience of the Estonians and the struggles they faced during the dark days of German and Soviet rule. There’s a large cross that is the square’s iconic symbol; it’s a particularly beautiful place to visit at night when the church lights give it a magical and ancient feel. The square often hosts festivals and entertainment, so you never know what you might find when you go. It’s certainly a must-see and a great place to take a few photographs before it’s time to head home. Located on the eastern border of Old Town, Viru Square is known for the two medieval towers that loom over its entrance. In centuries past, the towers were defensive, though now they’re beautiful landmarks and amazing examples of medieval architecture, overlooking the market below that’s known for its flowers and clothes. The area around the square is full of cafes, bars, and restaurants, and is a great place to stop for lunch, afternoon coffee, or dinner and drinks in the evening. Both squares are free to visit anytime. If you plan on buying keepsakes from the market’s vendors, remember that it’s very likely that the prices they quote are liberally inflated. Friendly negotiation is expected, so don’t be shy about making a counter offer or walking away if you think you’re getting ripped-off. KUMU Art Museum is the country’s newest and most complete art museum. It’s located near to the Old Town area, making it another of the city’s easily reachable sites. The museum consists of four floors and includes art of many different mediums, ranging from antiquity to the present day. Most guests – especially art lovers – suggest spending at least a few hours inside if you’d like to see all there is to see. The building is a magnificent example of contemporary architecture; there’s café on site that has a complete menu which is reasonably priced. The price for an adult is 10 Euros. If you think you might be seeing the city’s other art museums as well, there’s a ticket that will allow you to see all of them that costs 20 Euros. For families with children, there’s a family rate of 16 Euros. 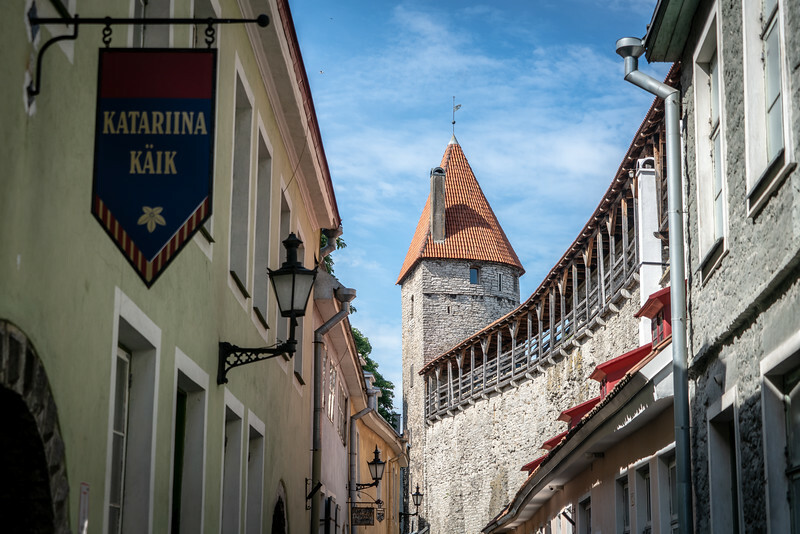 As you might expect from a city that’s one of the most well-preserved in Europe, Estonia’s Old Town is full of amazing examples of medieval architecture, including walls, towers, spires, and meandering cobblestone streets. Many of the city’s most popular and historically significant sites are in Old Town, including St. Catherine’s Guild and the House of the Brotherhood of Blackheads. Guests who have visited Old Town use words like magical and enchanting to describe their experiences; it truly is like taking a giant step back in time, so don’t miss out. The square is free to visit and is one of the favorite spots of photographers looking to capture their Estonian memories. In most areas of the city, photography is allowed, but inside many of the museums, venues and historic sites, it’s prohibited. When in doubt, keep an eye out for signs or ask if you’re not sure. 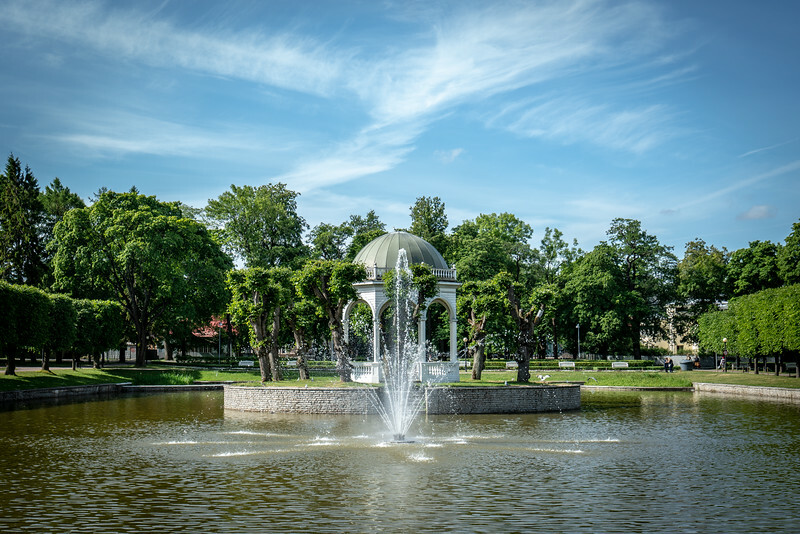 In addition to Old Town and the two aforementioned public squares, another particularly beautiful area that’s popular with photographers is the cost along the Gulf of Finland. It’s just a few kilometers from the city center and is a great place to get some fresh air and escape from the crowds too. Named after its street address in Old Town, Rataskeavu is probably the most well-known and highest rated restaurant in the city. It’s famous for its traditional Estonian dishes that are made with locally sourced ingredients and often served with a modern flair, making them favorites of locals and tourists alike. Not the cheapest restaurant in town, it is, however, one of the best valued, which keeps customers coming back. The offerings change with the seasons; a few favorites are the seafood, elk and the homemade desserts. 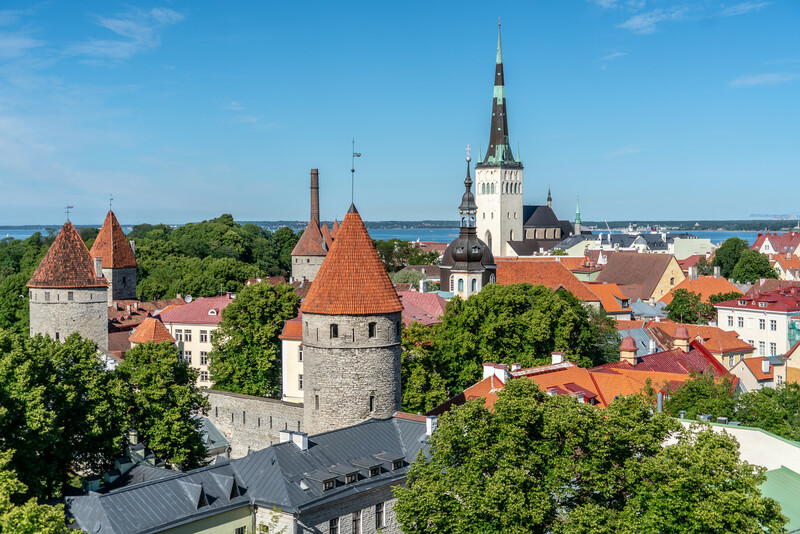 Due to its status as an international tourist destination and capital city, it’s not surprising that Tallinn is home to a huge array of lodging options, regardless of your budget or expectations. 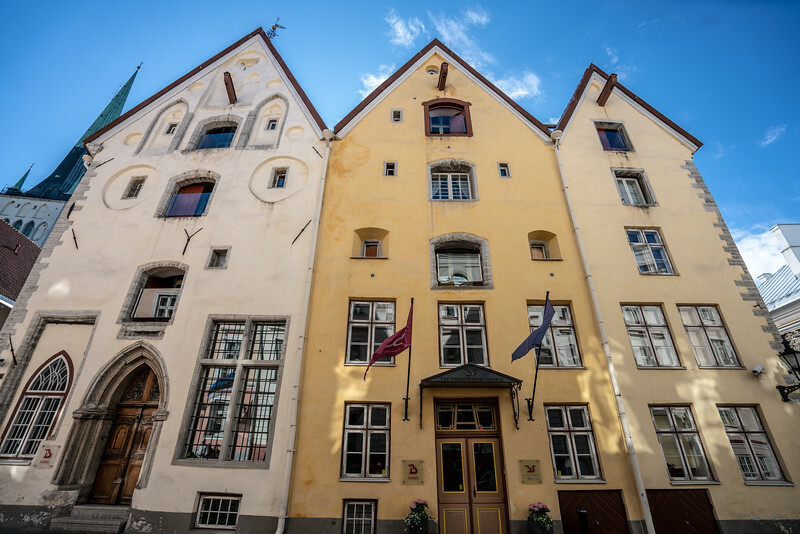 If you’re interested in seeing all the city has to offer and would rather not pay an arm and a leg for a room in which you’ll really only be sleeping, then Tallinn Backpackers Hostel is a great choice. Located in scenic and convenient Old Town, the hostel sports a friendly and comfortable atmosphere, catering to those value-minded tourists who want a good bang for their hard-earned dollars. The hostel’s amenities include a common room with chairs and a television, free Wi-Fi, laundry service, and even a hot tub. It’s an easy walk from some of Old Town’s most popular bars, restaurants, and tourist sites too, so you’ll also save on transportation. If you’re looking to go a bit more upmarket for your Tallinn lodgings, the Hotel CRU would be a wise choice. The hotel is in one of the city’s oldest buildings, though it has undergone vast renovations, which has kept its old-world charm while bringing it up to modern standards of comfort. This boutique hotel is located in Old Town. The rooms are uniquely decorated in a pleasant mix of old and new design and art, giving it more character than many of the city’s chain hotels. The hotel includes a restaurant; the head chef recently competed in the European Chef Olympics, so if you’re tired after a long day and would rather not venture out again, you’ll get a great meal. Please note that due to supply, demand, and the seasonal nature of tourism, room prices can change drastically and frequently, so check online carefully before you go, and book well in advance if possible. Located on the coast between the Tallinn Song Festival Grounds and the Estonian History Museum, this camping area is only for those with caravans and recreation vehicles. It’s just a few kilometers from the airport and within walking distance of dozens of restaurants, historic sites, and the Old Town. Though the grounds are spartan, the promenade is close by and public transportation is easily accessible if you’d rather not walk into town. There are bathrooms and showers, and electricity hook-ups are available, though it’s a bit expensive. Most guests use this as a base of operations only and don’t consider it the kind of place they’d want to spend much of their time. Referred to as Tallinn Airport or Lennart Meri Tallinn Airport, Tallinn’s airport is the biggest in Estonia. It is a hub for regional and international flights, with direct routes to nearly all of Europe’s largest airports. Nordica is Estonia’s national airline and the largest carrier operating from the airport. AirBaltic and LOT Polish Airlines have significant presences also. The airport is conveniently located just a few miles south-east of the city on the shores of Lake Ülemiste. Due to its compact nature, Central Tallinn is an easy place to get around. If you’d like to make a few trips to the countryside, you shouldn’t have much trouble either. The city’s public transportation infrastructure includes buses, trams, and trolleys that are inexpensive and convenient for tourists and locals. The network operates from 6:00 AM to 11:00 PM. You can buy one-way paper tickets or a smartcard for 1, 3, 5 or 30 days for 3, 5, 6, and 23 Euros respectively. Children under seven ride for free, and if you’re a parent with a child under three, you’re entitled to a free ride as well. Check the city’s website under the public transportation tab for more information. Due to the city’s extensive and affordable public transportation, most visitors don’t rent a car, but if you plan on spending much of your time outside the city, your best bet would be to rent one from a rental company at the airport. Keep in mind that you’ll need an internationally recognized driver’s license for insurance purposes, so make sure you know exactly what you’ll need well in advance of your trip. Tallinn’s climate is referred to as humid continental. Due to its coastal location, the weather is remarkably mild year-round, especially when compared to inland cities of similar northern latitudes. February is the coldest month; for most of the winter, temperatures can stay near the freezing mark, and wind, clouds, and snow are typical. During much of the winter, daylight only lasts for six hours. Summer in Tallinn is wonderful, with temperatures generally hovering between the mid-60s and 70s. Fall and spring are generally a mix of sun, wind, and rain, and temperatures can change drastically and frequently. Conveniently located in the middle of Old Town, the Miniature Ceramics Gallery is a great place to check out if you’d like to pick up a few keepsakes to remind you of your visit to Tallinn. The ceramics make great gifts; from the amazing array of things for sale, you’ll recognize many of the buildings that you’ve already seen on your travels. Most of the crafts are locally made and relatively inexpensive, so shopping here is a great way to support the local economy and its artisans. Translated into English, “raamatukoi” means “book moth.” If you’re at all like me and think that every good vacation deserves a great book or two, then a stop at Raamatukoi would be a great way to kick-off your Estonian adventure. The book shop includes new and second-hand books and even a few that are rare and permanently out of print. You’ll find a great selection of children’s books, as well as fiction and non-fiction books in a variety of languages and that were written in different eras. There are also postcards, toys and other interesting tidbits of Estonian and international origin for sale that you may not find elsewhere. The book shop is located in Old Town and is open every day, though they close a few hours earlier on Saturday and Sunday.